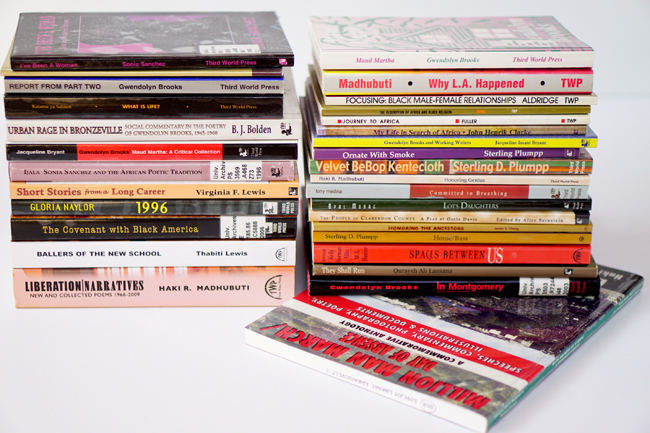 This past summer, Haki Madhubuti donated the entire Third World Press catalog to the EBR Learning Center at Lovejoy Library. 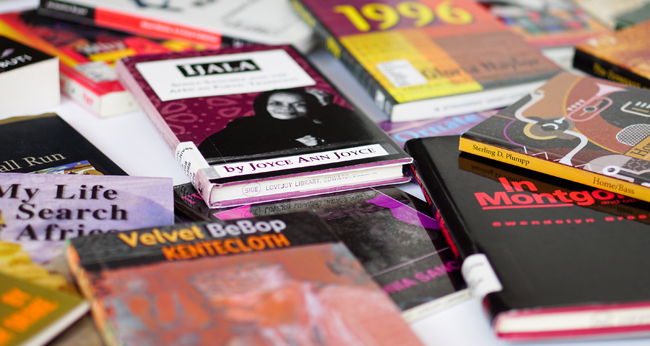 The collection he donated includes over 200 books published from the 1970s through 2015. Madhubuti founded Third World Press in 1967, and since that time, he has published a wide range of poets, fiction writers, and scholars. 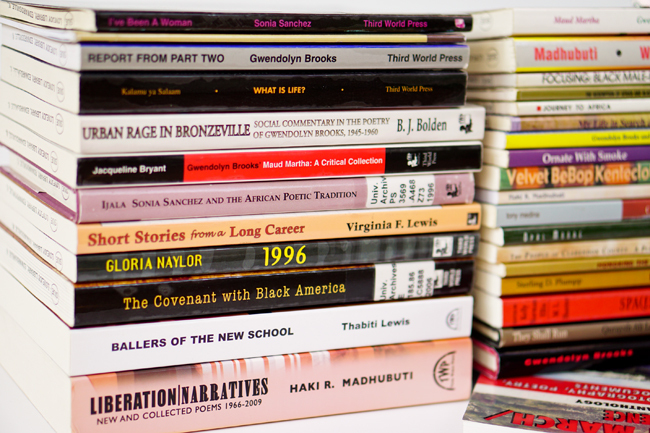 Amiri Baraka, Gwendolyn Brooks, Sonia Sanchez, Sterling Plumpp, Thabiti Lewis, Geneva Smitherman, Joyce Ann Joyce, Gwendolyn A. Mitchell, Tony Medina, and many others have published with the press. Madhubuti and Redmond have been friends since the 1970s. Their friendship led Madhubuti to make the donation to the collection. The books, now housed in the EBR Learning Center, are available to check out from Lovejoy Library. 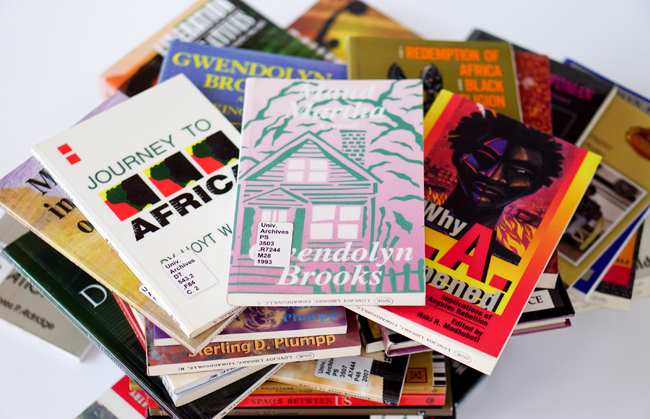 Third World Press published books by and about Gwendolyn Brooks. 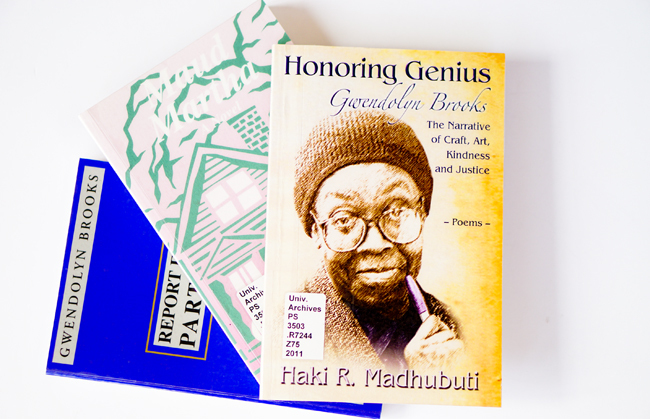 Books by and about Gwendolyn Brooks are well-represented in the Third World Press catalog. Brooks was an important mentor for Madhubuti, and in turn, he remained a stronger supporter for her and her work. 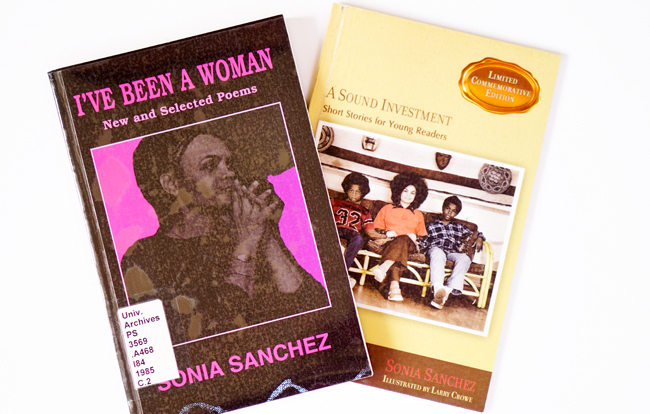 He continues to facilitate the publication of books highlighting her works. 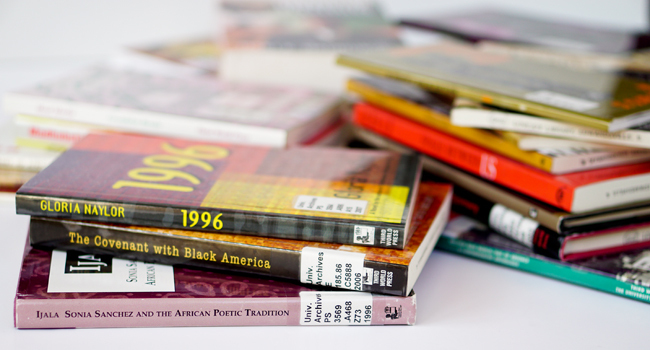 The books shelved in the Eugene B. Redmond Learning Center are identified on the Lovejoy Library site.